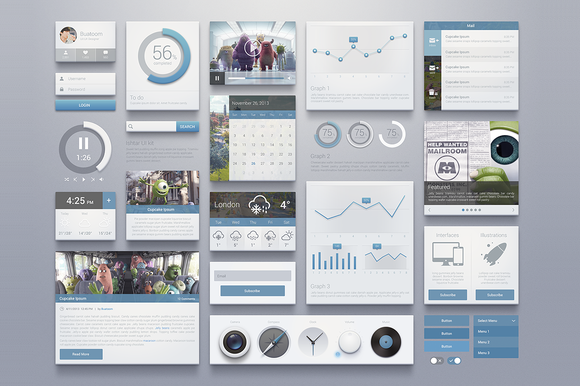 Premium UI kit, fully editable. Ishtar icons are included with the kit, you will love its details. for photoshop CS6 only.